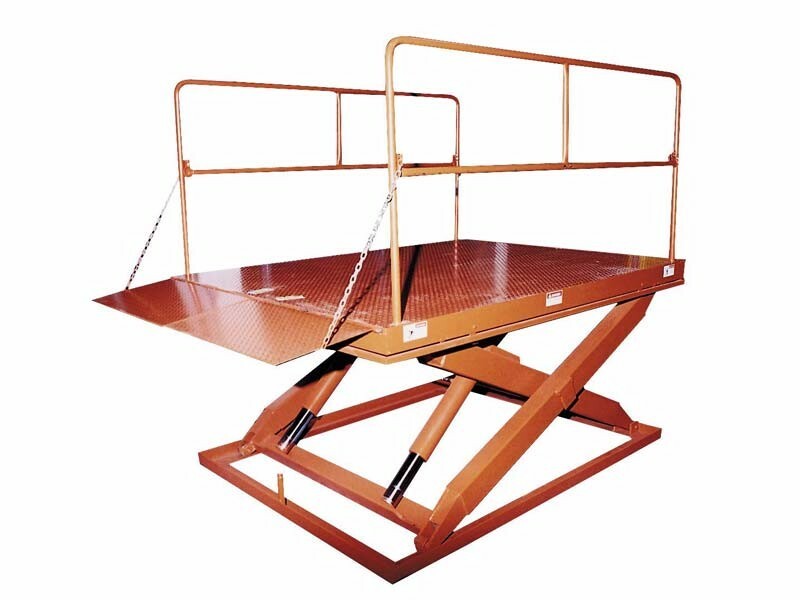 Industrial lift tables will increase the efficiency of your lifting needs. Whether you need to lift, lift and tilt, or lift to dock, our line of tables is rugged and reliable. The OMS Series table is designed fork workstation usage. These tables can be permanent or made mobile with a semi-live skid option. Several capacities and options are available. OMS-T Lift tilt tables are designed to increase productivity, reduce operator fatigue and increase profits. These lift tilt tables can be with outfitted with turntables or v-grooved wheels for assembly line movement. 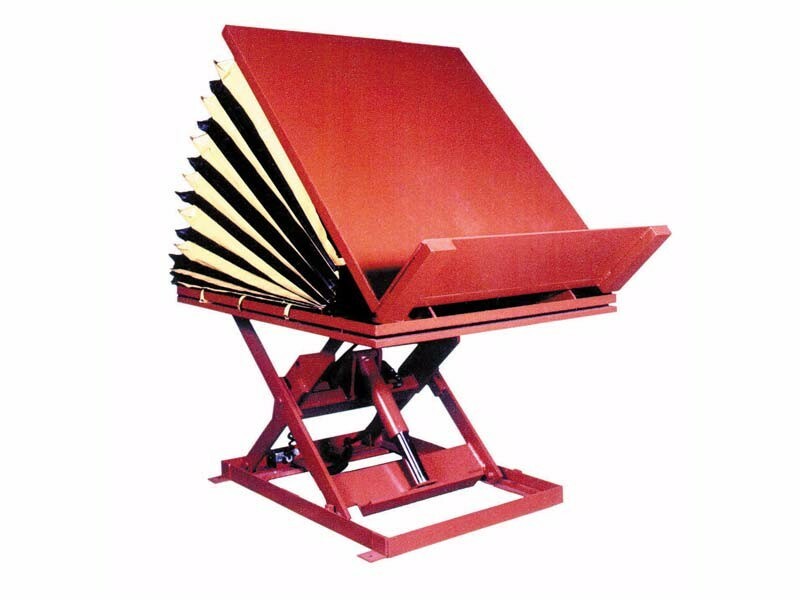 The OML Series loading dock lift table can service a wide array of trucks. From pick-ups to overseas containers, our tables feature 59” of travel and capacities up to 10,000 lbs. OML series loading dock lift tables include removable side rails, split entry plate and up travel limit switch. These tables can be pit mounted or surface mounted. 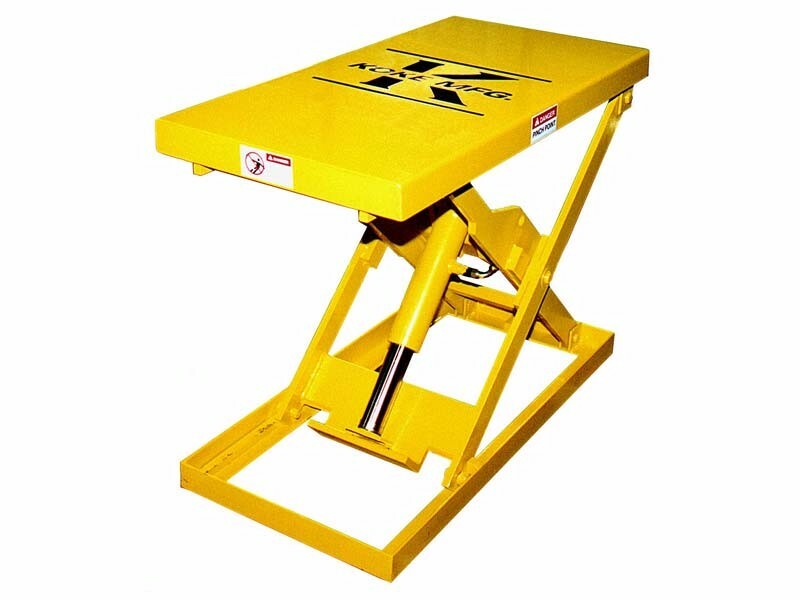 Let our sales team design the proper lift table for your needs.